Don’t miss out on this well maintained 5 bed, 3.5 bath two-story POOL home in the guard-gated, golf community of Sorrento Springs. This property offers so much value with all its incredible upgrades including off-the-grid solar power! The first floor living areas include a living/dining room combo that greets you at the front entry. Step into the open gourmet kitchen which features 42 espresso cabinets, granite counters, large pantry, stainless appliances, and breakfast bar. The kitchen looks out to a breakfast nook and a large family room. The first floor also provides an over-sized guest suite with plenty of closet space and attached bath. Up the stairs you will find 4 more generously sized bedrooms (including another master suite). Also at the top of the stairs is a convenient loft flex-space area and laundry room. The color palate throughout the home is neutral and provides the home a clean, bright, inviting feel. Its pi 232;ce de r 233;sistance? A fenced back yard and azure pool. Your instant passport to refreshing sun, and soft breezes. This private pool area will become a favored sanctuary for mind, body, and spirit. Nestled in the gentle rolling hills of Sorrento, this community features amenities such as the Eagle Dunes golf course & club, a resort style community pool with covered screened pavilion, 2 tennis courts, a fitness center and playground. Just outside the community you will find a new Publix and plaza, making your daily life easy and convenient. Please, send me more information on this property: MLS# G5011832 – $342,900 – 34345 Alameda Dr, Sorrento, FL 32776. 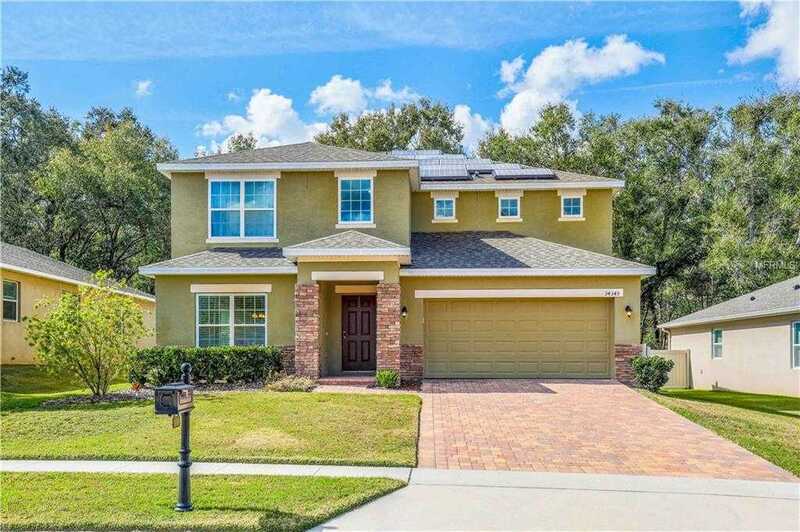 I would like to schedule a showing appointment for this property: MLS# G5011832 – $342,900 – 34345 Alameda Dr, Sorrento, FL 32776.